Let’s start our bankruptcy FAQ by covering some of the California bankruptcy basics. Keep reading to learn about chapters of bankruptcy and how debts are treated. 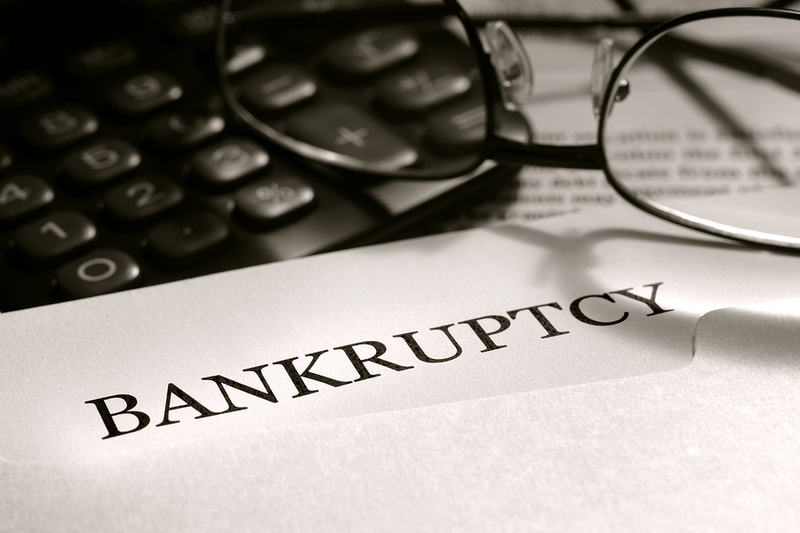 How Many Different Types of Bankruptcies Are There? How Much Does Filing Chapter 7 Cost? Which Is More Expensive, Chapter 7 or Chapter 13? Can Anyone File Chapter 13? Which Assets Are You Allowed to Keep in Bankruptcy? Which Debts Are Discharged in Chapter 7? Which Debts Are Discharged in Chapter 13? What Do You Get to Keep in Chapter 7? What Do You Get to Keep in Chapter 13? When Will Your Employer and Landlord Find out About Your Bankruptcy? How Fast Can You Rebuild Your Credit Score After Bankruptcy? Can You File for Bankruptcy on Your Own? Where Is the Bankruptcy Court in Sacramento? Bankruptcy is a legal process that allows debtors to regain control of their finances by eliminating or reducing certain debts while giving the debtor time to pay off other debts, depending on which chapter of bankruptcy he or she files under. Most bankruptcies involve Chapter 7, Chapter 13, or, in the case of many business bankruptcies, Chapter 11. 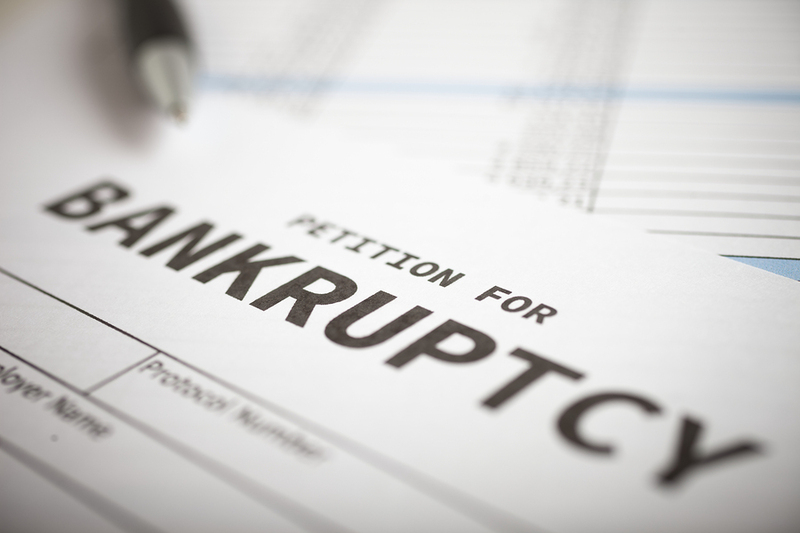 The types of bankruptcy are called “chapters” after their corresponding chapters in the U.S. Code. It is impossible to answer this question without first assessing your assets, income, debts, and financial objectives. However, generally speaking, Chapter 7 is intended for debtors with limited income and assets, while Chapter 13 is meant for higher-income debtors. The vast majority of consumer bankruptcy cases fall under these two chapters. No. Certain debts, called “non-dischargeable” debts, will survive the bankruptcy regardless of which chapter you file under. Examples of non-dischargeable debts which are unaffected by bankruptcy include alimony, child support, and student loan debt. Bankruptcy is not completely free. However, most people find that the costs associated with bankruptcy are significantly lower than the overwhelming cost of continuing on the unsustainable financial course which led to the consideration of bankruptcy. There is a $335 court fee to file a Chapter 7 bankruptcy petition in California. This fee is broken down into a $245 filing fee, a $75 administrative fee, and a $15 trustee fee. The trustee is a court-appointed official who helps oversee the case and handles liquidation of the debtor’s non-exempt assets. We’ll discuss exemptions a little later in this guide. Even though Chapter 13 is intended for debtors with higher income, the filing fee for Chapter 13 is actually slightly lower than the Chapter 7 filing fee. The court fee to file a Chapter 13 petition in California is $310, which is $25 less than the Chapter 7 fee. Regardless of whether a debtor files under Chapter 7 or Chapter 13, he or she will also have to pay for mandatory credit counseling and debtor education, as well as attorney fees. Our California bankruptcy attorneys know costs are a major concern, and work to make payment arrangements that are flexible and affordable. No. In order to file for Chapter 13 in California, you will need to demonstrate that you have enough disposable income to cover the payments that will be required of you over a period of three to five years as part of your Chapter 13 reorganization plan. If your financial circumstances change during the bankruptcy, you may be required to convert your Chapter 13 to a Chapter 7. Only debtors with limited income and assets may file for Chapter 7. This is determined through a process known as “means testing” or the “means test.” In short, the means test compares your income from the past six months against the median income for a California household of equivalent size to your household. There’s a stubborn myth that bankruptcy will cause you to lose your home, your car, and all of your valued possessions. In most cases, this is far from the truth. Bankruptcy exemptions enable you to protect much of your property, and furthermore, Chapter 13 enables debtors to keep more property than Chapter 7. Bankruptcy discharge is every filer’s goal. When the court discharges your bankruptcy case, it means you are being released from liability for your dischargeable debts, and are no longer responsible for paying them. If you commit fraud or make a serious error, the court could instead dismiss your case, which means you will be stuck with the debts you were trying to eliminate. Fortunately, Chapter 7 enables filers to eliminate most of their largest sources of debt. Medical debt, credit card debt, business debts, debt from personal loans, and past due utility bills are all examples of dischargeable debt in Chapter 7 bankruptcy. The discharge in Chapter 13 is even broader than the Chapter 7 discharge, and allows debtors to erase debts that would not be affected by Chapter 7. In addition to the debts that are normally dischargeable in Chapter 7, Chapter 13 also allows for the discharge of debts arising from divorce settlements, certain court fees, and HOA fees. A secured debt is a debt which is “secured” by collateral, which the lender can take away or repossess if the borrower defaults. For example, if you miss several mortgage payments, the lender can initiate proceedings to foreclose on your home. Chapter 7 bankruptcy is a liquidation, which means the trustee can sell your non-exempt property and assets to repay your creditors. California offers debtors two systems of exemptions to choose between, known simply as System 1 and System 2. Our Sacramento bankruptcy lawyers can make a determination about which set of exemptions will protect more of your property. The main advantage of filing for Chapter 13 is that it enables debtors to keep their property, including their car and their home. However, in exchange for keeping more property, the debtor will be required to propose and comply with a three- to five-year repayment or reorganization plan, which prioritizes creditors based on the nature of the filer’s debts. Bankruptcy is a major legal and financial decision that can affect other areas of your life. Keep reading to learn more about how employment, housing, and credit scores are impacted by bankruptcy. Bankruptcy records are public, which means most of the information contained in your bankruptcy petition is also public. Nonetheless, it is highly unlikely that your employer will discover your bankruptcy, unless you owe money to your employer, in which case you must list the employer as one of your creditors. Unless your employer has been listed as a creditor, he or she will not be notified of the bankruptcy. Moreover, 11 U.S.C. § 525 makes it illegal for an employer to fire an employee solely due to a bankruptcy. Likewise, your landlord should not be notified unless he or she has been listed as creditor because you owed him or her money. However, if you move into a new apartment, the new landlord may wish to run a credit check before leasing the unit. Additionally, you will be required to disclose your lease on a document called Schedule G.
Chapter 7 bankruptcy can temporarily postpone foreclosure because filing triggers an injunction called the automatic stay, which temporarily freezes collection actions. However, the only way to stop foreclosure and save your home with bankruptcy is to file Chapter 13, which, unlike Chapter 7, will give you the opportunity to make up mortgage payments you have missed. Bankruptcy will initially have a negative impact on your credit score. However, with many of your debts out of the way, you will be in a stronger position to rebuild good credit. You can start right away by budgeting carefully and making full and timely payments on your monthly bills. A secured credit card, which is backed by a deposit you make, can also be helpful for rebuilding credit after bankruptcy. No law prohibits you from filing for bankruptcy on your own, but foregoing legal help is likely to cause more problems than it solves. If you are worried about the cost of hiring a bankruptcy lawyer in Roseville, Sacramento, or Folsom from The Bankruptcy Group, simply ask how we structure our payments. You might be surprised by how affordable a quality bankruptcy attorney can be. Technically speaking, you may file for bankruptcy without an attorney, which is called filing “pro se.” However, this is extremely inadvisable due to the great complexity and long-term impact of bankruptcy. We hope that this beginner’s guide to bankruptcy has helped to answer some of your questions. But while learning about bankruptcy is a good start for any debtor, it is critically important to seek legal help if you plan to file for bankruptcy in California. If you or your spouse is considering declaring bankruptcy in Sacramento, Folsom, or Roseville, we urge you to contact The Bankruptcy Group at (800) 920-5351 today for a free, friendly, and completely confidential legal consultation. Our California bankruptcy lawyers have extensive experience handling Chapter 7 and Chapter 13 bankruptcy cases on behalf of single individuals, married couples filing jointly, and small business owners.